I know you are all wondering about the cakes. The flower cake was Math Boy’s cake….layers of brownie and ice cream thrown together at random by me, strawberry flowers added at the last minute. Math Boy is easy-going, and as long as he has ice cream he is a happy guy! Knittykid has ideas….he has a lot of ideas. Elaborate and complicated ideas. Therefore when he requested a tiger cake I called upon an amazing and talented uncle in the family to create this tiger masterpiece. Yes, it hurt me to cut this cake and eat it. Isn’t it beautiful??? I am amazed and blessed by these incredible boys of ours. They are so very different, but the one thing they do have in common is that they both are strong-hearted young boys who fill my own heart daily. Thank you boys, for all the love and delight you put into the world. We love you both!! Happy birthday to all! I like the strawberry flowers and the tiger is impressive! 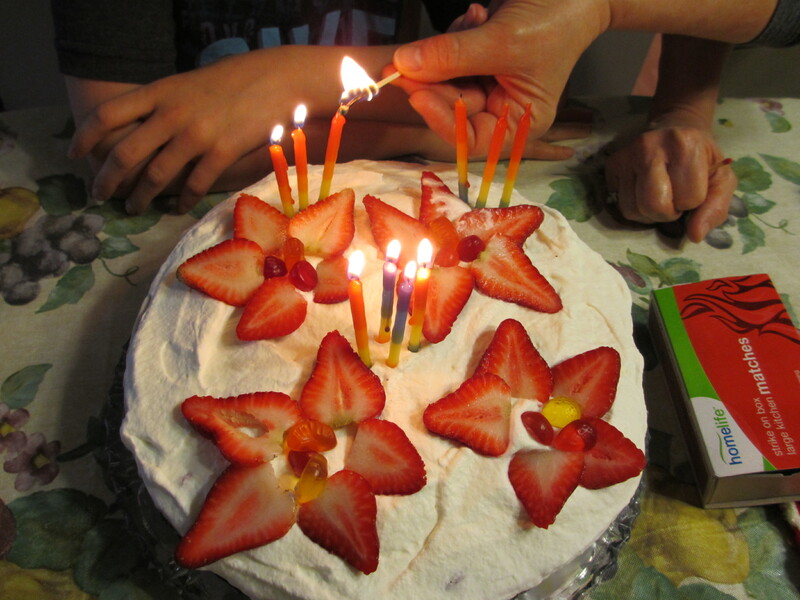 We just closed out our own birthday season here–one in November, one in January, and four March (two on the same day); whew! Lots of happy birthday wishes – hope your tiniest one enjoyed the cakes too! Brownies and ice cream and strawberries – yum! 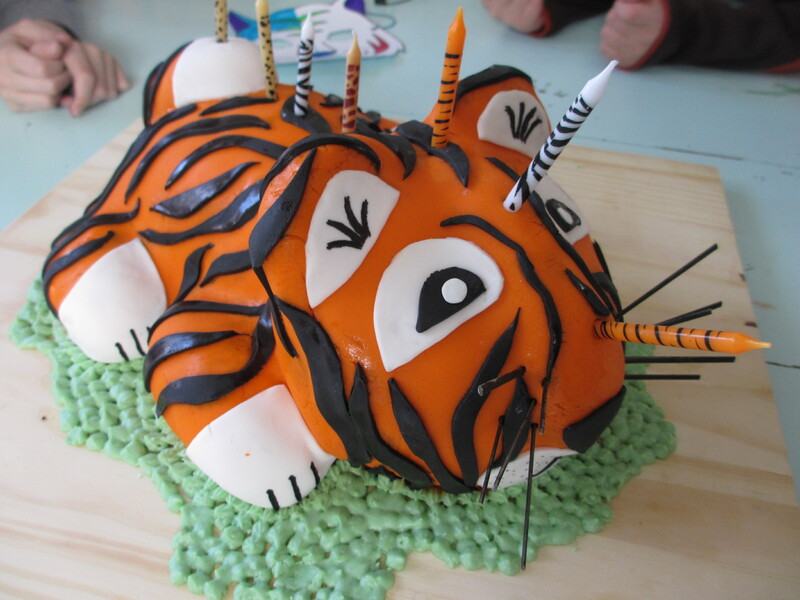 I love that tiger cake! Very happy belated birthday to your boys!